Planting corn for silage is somewhat unique compared to planting corn for grain. Hybrid selection, planting rates, and even row spacing offer different responses for silage than for grain. In years when both corn price and milk price are somewhat depressed, a balance of cost control and silage yield protection is needed. Joe Lauer, extension corn agronomist at the University of Wisconsin, offered several considerations along these lines in a recent edition of the Midwest Forage Association’s Forage Focus publication. Though most seed sales are completed at this point, Lauer emphasizes that the hybrid planted often dictates the management needed to optimize profitability. With so many “designer” silage hybrids and available transgenic traits, one style of management doesn’t fit all. “One way to spread weather risk is to diversify hybrid genetics so they are pollinating at different times,” says Lauer. “Crop rotation is an easy, low-cost way to boost yield by about 10 percent compared to continuous corn,” notes Lauer. He says that in stress years such as drought, the rotation effect on yield is even more dramatic. 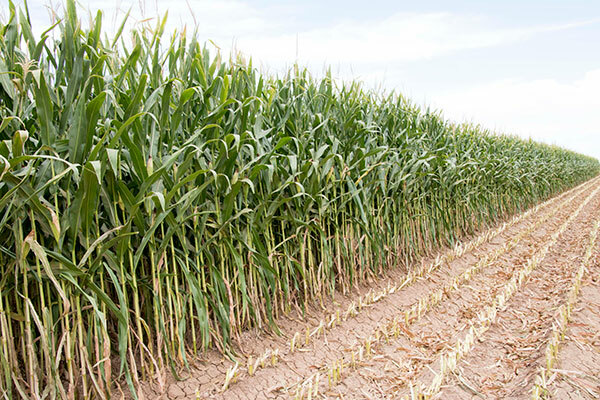 Generally speaking, the economic optimum planting rate for silage corn is about 5,000 to 6,000 seeds per acre greater than for grain corn. “Adjusting seeding rate often has the most potential to move off current yield levels and might be the place to start when trying to break through a perceived yield plateau,” says Lauer. “Planting in a timely fashion sets up the season. We see a 30 percent drop in milk per acre from May 1 to June 1. Most of that change is due to reduced yield,” Lauer explains. He emphasizes to focus on seedbed conditions and date rather than on soil temperature. After April 20 to 30, depending on region, disregard the calendar and plant as quickly as field conditions allow. Research shows a more consistent yield response to narrowing rows from 30 inches to 15 to 20 inches. “Generally we see about a 7 percent bump in silage yield with narrow rows. For grain, it’s about 3 percent,” says Lauer. The effect on forage quality as measured by milk per ton is minimal. “This is not a place to cut inputs,” says Lauer. There may be opportunity to shop for the most cost-effective fertilizer sources, but it’s still prudent to follow your state’s recommendations for nutrient needs. Keep in mind that corn harvested for silage removes far more potassium than when harvested for grain. Maintain nitrogen rates as in the past unless you have historically been overapplying. Lauer doesn’t recommend routine application of micronutrients unless soil tests or plant tissue analysis predicts a response. Keeping a close eye on the crop throughout the growing season allows you to make timely management decisions for pest control or to correct nutrient deficiencies. This can mean the difference between profit and loss.